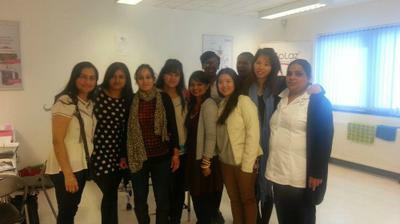 My experience within the level 2 beauty therapy has been amazing throughout. I have learnt several new things and brushed up on things I already knew. Different types of teaching methods have been used and my time here has been used wisely. My teacher has been great providing help in all easy possible. She used a range of materials to explain in detail and demonstrated wherever possible. All questions asked where answered to my satisfaction. Help was given on homework’s wherever possible and questions were explained I details with examples used wherever possible. During my course I have looked forward to and enjoyed eyebrow and eyelashes topic the most. All theory of the eyebrows and lashes was talked about In great details providing me with great knowledge. The practical side of it was fun as I had the chance to master the art of eyelash extensions. I wide variety or things were covered in this Level 2 beauty course such as- makeup, facials, manicure and pedicure, waxing and many more. Each technique used was explained in depth and was shown so it could be picked up on easily. 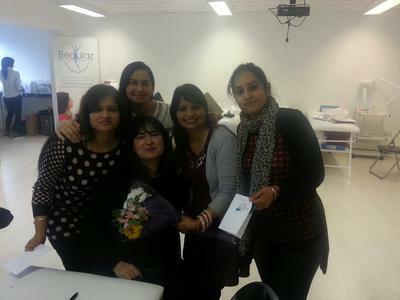 I have enjoyed doing my course here with Talha and would recommend it to anyone thriving to get in to the beauty industry. All individual support and guidance were provided at every step of way in and out from class, quick response to email and txt on phone provided by lovely teacher Talha . I have just completed my fast track nvq level 2 in beauty at Birmingham and I have to say I have really enjoyed it. 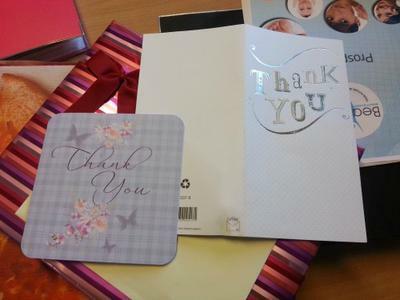 Talha is an amazing teacher and extremely helpful, everything that I have learnt over the last 16 weeks was thoroughly explained by her and she was always there if I needed help with anything. I am so pleased I chose beaulaz and would recommend to anyone that are looking at doing beauty courses. I can't wait to get started in my new career and feel that since I have completed this course I have a lot more confidence and have already started building up a small client base. Also it's not just all the practical that I have learnt, we were also taught salon reception duties and how to promote additional services or products which will be extremely helpful. I found this course really benefiting as it was on a Saturday so I could fit it in around my current job and family which a lot of other colleges don't do. I look forward to developing on to my level 3 and will definitely choose beaulaz without a doubt . Once again thank you so much to my tutor Talha because without her patience, skills and knowledge it would have probably took me a lot longer and harder to complete. She is the best teacher I have ever met and she teaches with passion and honesty and goes above and beyond to help her students. I want to thank you for being wonderful teacher. I am glad to be your student, you were helpful all the time, generous on your explanation always smiling and equal with everyone. Wherever I go, whatever I do , I will always remember you. Really you gave me the strength to make my dreams come true, you inspired me to find my goal. A million thanks to you, Manroop and all staff of Beaulaz. I have to say "Colaz Advanced Beauty Specialists is the best clinic where you can have excellent result for any treatment, pain free, less expensive and immediately results". My name is Zahara and I have done L2 ,L3 with other Further Education colleges but I liked Beaulaz the most . I really enjoyed my experience here at the Beaulaz. On the first day of arrival on the course a lesson plan was given and a full explanation on the course was given. Introduction packs were given as a class we went through them, and we asked questions as we went along, so full understanding was obtained. We were told that we have to purchase a uniform and a link for that was emailed to us, which I thought was very good and helpful. I was more the satisfied with the quality of teaching Talha provided her support in class and also after class. I always stayed behind every lesson to get more practice, and always got extra support until I was competent. The teaching method was very good, she done a practical demonstrations, as well as theoretical explanations. All homework questions were explained in the class so it made it easier when doing my homework. Equal opportunities were provided to all the students, during classes it was a very comfortable environment. Health and safety regulation was addressed by the tutor throughout the course I think proper guidance supported and help was supported and that increased our learning styles. Practical sessions mere provided for students with an opportunity to use student run salon, to increase their expertise. I really enjoyed this it gave me a lot of experience. I am very happy with the support I received during this course and I would recommend it to anyone. I look forward to completing level 2 and 3 with talha . we love u lot . 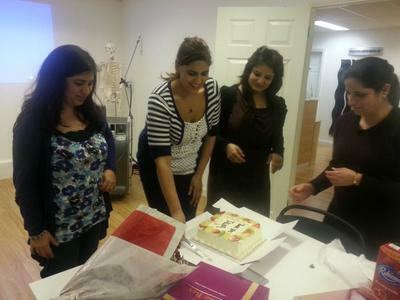 We studied at beaulaz in Slough in 2013 on a fast track level 4 laser and IPl course. Our teacher was Talha. She was lovely and her knowledge in the beauty industry was out of this world. She really helped all of us and pushed us to pass our exams. When we were late she would stay behind. Another student had trouble with her assessments and Manroop the owner helped her and even came in on a weekend to ensure she finished her portfolio and assignments. 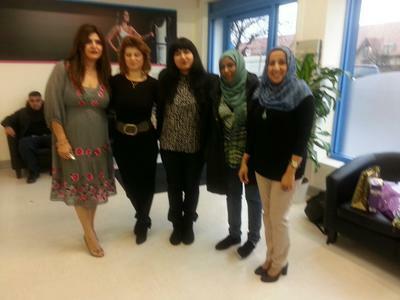 Beaulaz is a very professional beauty training college and most of us students are now doing the Level 2. 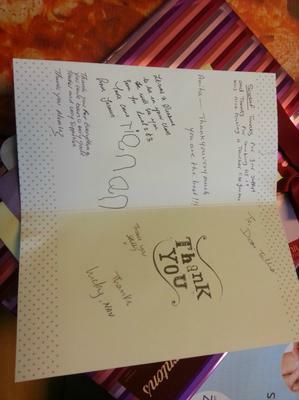 The teachers are really helpful and the receptionist Haroop is really sweet. 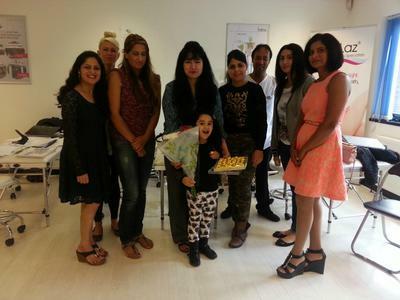 During my time I have spent in the level 2 beauty classes I have thoroughly enjoyed every minute spent there. Talha has been very friendly, and a great tutor. I could have not asked for a better tutor. She is very approachable and a good listener. If I had any problems she would come up with a solution that would benefit me and my class mates. There are many skills that I have gained from her, some of them being how to welcome and greet a client, the correct way to do a client consultation, how to apply eyelashes, tints, the steps of a facial, waxing, the correct way in which to apply makeup and many more that Talha has taught me. I am extremely happy with her and I have learnt a lot. She is very helpful and understanding, she is friend as well as a tutor. There were some occasions where I was struggling to bring in a model. Therefore Talha was kind enough to arrange models for the next class for me so that I could complete my assessments and so that I do not to fall behind. Talha helped us in every possible way, she gave us the opportunity to stay behind after class if we did not understand anything during the class or if we wanted to get some practise done or if we wanted to complete some assessments. She was with us every step of the way, even when it got tough for us she did not give up on us and said you will get it the next time do not give up. She would encourage us to do our best with every assessment. For anyone that would like to study level 2 in beauty I would recommend that they come to beaulaz and get taught my Talha as I feel that she is a great tutor, that has many skills and knowledge that you will gain, which you could put into practise when applying to a salon in the real world. I would like to share my story with every one whoever is looking for beauty college , beaulaz is the best as I have done course with Talha level 4 which made me so happy and satisfied which pushed me to do level 3 and 2 with her as fast track. I have three salons so cannot afford longer courses wasting my time while talha brilliant teaching style ,support and help enabled me to finish my all course with good knowledge about beauty therapy but also she made sure it is customized according my individual needs and learning style. she is wonderful human with best teaching style , at time she pushed us and at time been flexible whenever we needed her, best suited my needs. she really knows her stuff very knowledgeable and down to earth person , I have recommended all my staff to do course with them and keep spreading word of mouth as she deserve it , her zeal and zest towards her students are remarkable from creating portfolio to assessment she is there for you. I feel fully confident to do level 2,3,4 treatments and already started offering on my salon. I will highly highly recommend beaulaz because of professional environment and good teacher like talha . Two way communication ,professional lectures and fair environment was provided to all students and we felt so comfortable as class and will come back again and again to do courses with her . 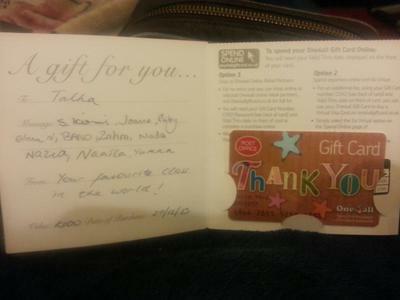 Thank you very much talha and beulaz , well done . 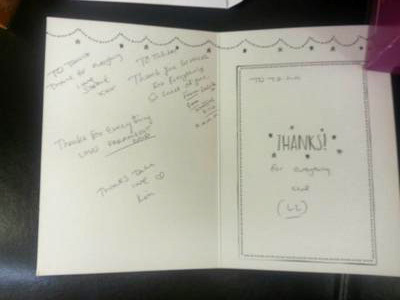 I have really enjoyed my time here and gaining my NVQ level 2 in beauty therapy. I have learned a lot and gained new techniques. I have received lots of support from my tutor Talha Faiz. As English being m second language Talha would talk to me and explain to me things which I didn’t understand. In my home language to give me that extra help, and would also use simple words, which I would understand. I really enjoyed watching Talha showing us how to carry out certain treatments where I learnt lots. I am happy I attended this course to better my future. First day at introduction they explained everything about the whole journey of our course was designed so nicely and professionally. The Practical sessions were so satisfying and enjoyable. Talha explained and showed from basic on how to prepare the trolley to when the client leaves. She made us practice and practice until we was satisfied and she was satisfied with our performance. She also gave us homework and assignments on time. I gained a lot of knowledge and understanding in regards to the different aspects of beauty, this has made me confident and for this I would like to thank Beaulaz and Manroop. First time I spoke to Halima she was very helpful and gave all the essential information that I required. Samhad the receptionist at Beaulaz was also very kind and helpful, any print outs and help that I needed was provided by Birmingham, and this has made me a very satisfied student. Thank you everyone who was part of Beaulaz and have helped me to achieve and be proud. I am a new student to this course. I have never been in touch with any beauty therapist before this course, no previous experience at all. I am so glad that I had joined this course. In the past 16 weeks I have learnt so much and showed different experiences with each other in the class. My course tutor. Talha been so supportive and helpful and patient throughout the course. She explained all the parts so detail and demonstration so each topic, remind us about health and safety all times, and always remind us what and how to do as a beauty therapist. Keep clean, tidy and professional manner. I have also benefited on my salon management knowledge, as well, everyone in that class also got the chance to do salon management of the day to practice what should be do, and she would always correct and show us crystal clear how to do the job perfectly/ I'm so proud of Talha, myself and all my classmates. Anatomy and Physiology was my weakness in the course, Talha just used her after class free time to help me go through with me once and once and anatomy and physiology exam passed easily at the end of my class. Thank you so much to Beaulaz provided this course with fair and comfortable environment and all the support without study during this course. My name is Priyanka Sharma and I started my course in June 2014. Our teacher Talha was very helpful, and gave us appropriate information such as introduction pack containing hand outs, handbook, appeal and procedures, complain procedure, log book, VTCT 19 form, ground rules, enrolment form with term and conditions and college contract. I am very satisfied by teaching quality and support given by our teacher Talha. Talha was very helpful open minded, honest throughout the course. She showed everything practically very well. 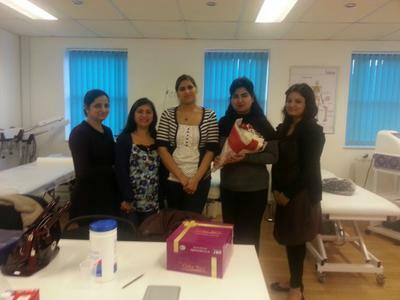 And at the end of the course I am feeling very pleased that I can carry out all the treatments very well now. Theory classes were taught very well, and I have full knowledge of my subject. Anatomy and Physiology was explained very well in a very good manner that I know all of the theory by heart now. 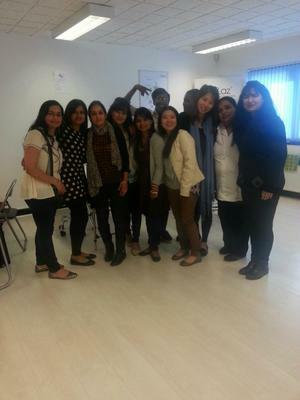 Overall I enjoyed the course and would defiantly recommend to my friends. I am planning to do more courses such as NVQ level 3 NVQ level 4 at Beaulaz. I wish the very best to my tutor and the principle of this institute, wish the college prospect. I was very pleased to have my qualification from Beaulaz because the course did not interfere with my family life. So I didn’t have to spend days and days at the college. Overall I am glad and I am going to recommend this course to my friends. I have done level 2 NVQ Diploma in beauty therapy in the last 16 weeks, with Beaulaz. I have enjoyed and learned so much, as I am new to the beauty industry. I have no experience on any of the treatments or units. Talha has tried her best to teach me and gave us the opportunity. Lesson plan, all the log books, hand outs, has been provided since the first day, therefore we should know what goes on during the class, and what we need to prepare before the class. Also we can learn in our own time as well. Talha will recap all the theory, so we can memorise and understand. Each lesson we has an after class session for any questions and answers, this gave us the opportunity to ask anything that we may have struggled on. Talha has been supportive and helpful throughout the course all the units were demonstrated by Talha, and she let us video while demonstration, so that we can recap at any time. I think everyone has equal opportunity and Beaulaz has provided a fair and comfortable environment during the course In conclusion I am satisfied by the quality of the teaching support and help provided by Talha I would recommend the course tutor to others. this is my second course with beaulaz and talha being really helpful throughout the course , for assessment college has helped us by emailing the timings. My first experience here at the Beaulaz has been amazing, as on the arrival on the first day of the course, a lesson plan was given to us along with the full explanation of the course. Introduction packs were given to us during the first session and we discussed about this and raised questions if we had any queries. In addition to this we were told that we need to purchase a uniform and in order to do this, they emailed me the link to the website, which I believe was very helpful and straight forward. Talha who is my tutor has helped me a lot during my study time and in lessons. I was really pleased with her support and way of teaching, it was clear to me, which enabled me to take on board all that she has taught. In addition to this Talha gave practical demonstrations, as well as theoretical explanation, which helped me a lot as I am a visual learner. Similarly she gave us homework after our lesson and Talha went through the homework questions, as a class, which was beneficial for me and the other students, because it made it easier to do our homework. Moreover equal opportunities were given to all the students, as each had a part to play by giving Talha a hand during her demonstrations. Also by letting student raise questions, as other students might benefit from the same question and answer. Lastly I believe that my confidences levels in carrying out tasks in beauty therapy has increased, and I believe that with the amount of experience I gained at this college, I will be able to find a good job, as a beauty therapist. It was a pleasure doing this course at the Beaulaz and Talha the tutor made even more interesting, and put even more live into the course. She made it so interesting ,clear understanding and she gave ample time and opportunity to all students in group efficiently. First day at our induction she explains everything about the whole journey of the course. The practical part the presentation and the workbook was taught so nicely and provided more than enough knowledge to understand in the class and at home. The practical classes were so satisfying and comfortable , Talha explained and show from basic eg how to prepare trolleys, couch, client etc to finish off the treatment . She made us practise and practise till we feel comfortable and satisfy and till she gets satisfy with us. She taught us No- Yag and IPL for hair removal and skin rejuvenation . She has given us homework or assignments on time and all the support we needed from here.g showing sample solved assignments. She has given the entire student equal and more time if anyone is struggling even skipping lunch breaks and after class through phone and emails . On our practical she made us comfortable and motivates and treated us fairly and given us a fair feedback on the treatments we done on the clients. Tutors like Talha can make students more motivate to do more courses with Beaulaz and make their life successful and positive. I am so glad that I did my course here at Beaulaz and met a tutor like Talha. 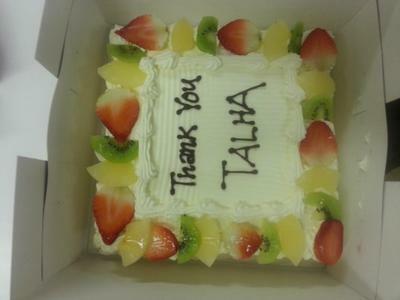 I would like to wish Talha successful and keep and going on and do the good job that she is doing. We are proud to be your students , Well done beaulaz, I am soon coming for level 3 . SEE You soon Talha . I am here to share my experience as student with you. I am very very happy and pleased with the course and my teacher talha. She is the best teacher who works with passion and I loved her to bits , very lucky to be beaulaz student and will certainly recommend others for the course and come back here for further course. She has provided all possible help to me and classs which enabled us to finish on time as my fear was to complete on time as I was new to beauty industry. My course was made easy and interesting by my teacher and I passed it with good knowledge and understanding job well done and I am very satisfied . see u soon talha and keep it up . Level 4 course is my second course I've study in Beaulaz. And was the same with the level 2 course never let me down. So happy that I can be Talha student again, she is really good at teaching, she is very helpful, and even though this is a quite large group she helps every single individual. During my course I thoroughly enjoyed my course. It was a very good experience being here at the Beaulaz during my level 4 Laser and IPL. It was defiantly worth to come here again to study, while being on the laser training course with Beaulaz I have gained a lot of confidence with using the laser machine, and have also learnt many skills with regarding different laser techniques. Being on the course it has given me all the knowledge needed in order for me to open my own salon and perform my own Laser on my own. I would recommend this course for everyone who would like to be a qualified laser therapist as you are given the necessary amount of knowledge regarding all the things to do with laser and hair removal, also skin rejuvenation.